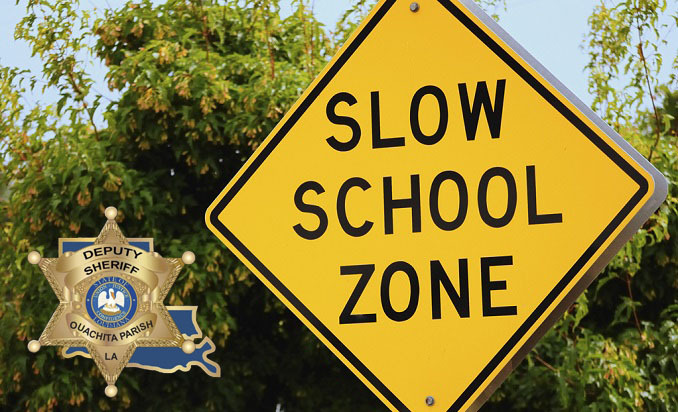 With summer break coming to an end, Sheriff Jay Russell wants to remind parents and drivers to help keep our kids safe. • Reduce any distractions inside your car so you can concentrate on the road and your surroundings. It is illegal to use a mobile device in a school zone. Put down your phone and don’t talk or text while driving. • Walk the route with your child beforehand. Tell him or her to stay away from parks, vacant lots, fields and other places where there aren’t many people around. • Teach your child never to talk to strangers or accept rides or gifts from strangers. Remember, a stranger is anyone you or your children don’t know well or don’t trust. • Be sure your child walks to and from school with a sibling, friend, or neighbor. • When driving kids, deliver and pick them up as close to the school as possible. Don’t leave until they are in the schoolyard or building. • Teach children to arrive at the bus stop early, stay out of the street, wait for the bus to come to a complete stop before approaching the street, watch for cars and avoid the driver’s blind spot. • Remind your children to stay seated at all times and keep their heads and arms inside the bus while riding. When exiting the bus, children should wait until the bus comes to a complete stop, exit from the front using the handrail to avoid falls and cross the street at least 10 feet (or 10 giant steps) in front of the bus. • Tell your child not to bend down in front of the bus to tie shoes or pick up objects, as the driver may not see him before starting to move.